Heat oil in a pan. FIrst add Jeera and methi. 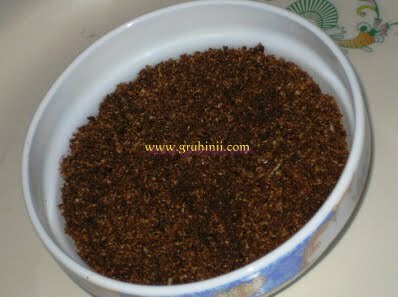 When jeera starts spluttering add red chillies and curry leaves. Fry for few sec. and add whole dhaniya fry in a medium flame until golden brown color. You can feel a nice aroma of the fried Dhaniya. Let the ingredients cool. Grind all the ingredients to fine powder in a mixie adding salt to taste, tamarind and garlic pods. 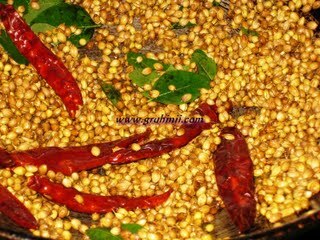 Tasty Nalla Karam podi is ready.......Tastes good with Idli, dosa and even rice too when served with a spoon of desi ghee......try once.